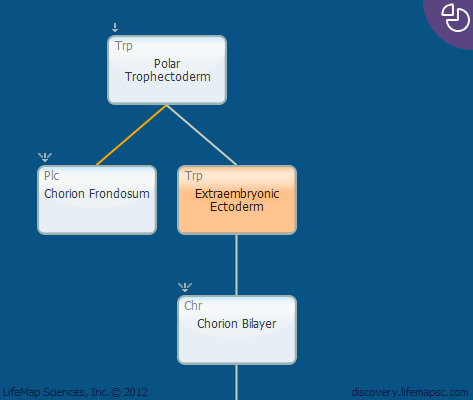 The extraembryonic ectoderm (ExE) is formed following implantation as cells from the polar trophectoderm proliferate. The process involves thickening of the polar trophectoderm, which grows into a thick compact column of extraembryonic ectoderm that extends into the blastocoel, with its distal part juxtaposed with the compact epiblast. Both the ExE and the epiblast are enveloped by the visceral endoderm. The ExE later forms the chorionic ectoderm and is the source of undifferentiated trophoblast stem cells, which, in the mouse embryo, contribute to the ectoplacental cone and to the mature placenta. The ExE is also essential for the induction of primordial germ cells in mice.